The Old Forge is a no smoking establishment in accordance with current legislation. 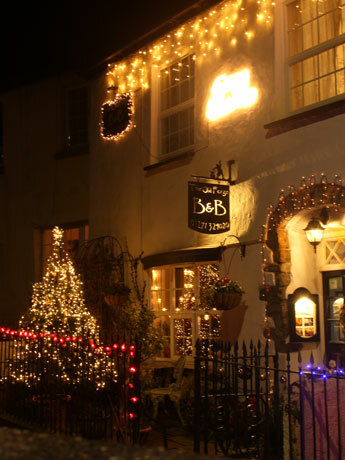 The Old Forge is a family run bed and breakfast in the heart of North Devon. Parts of this charming cottage date back to the fourteenth century, when it was the village blacksmith. 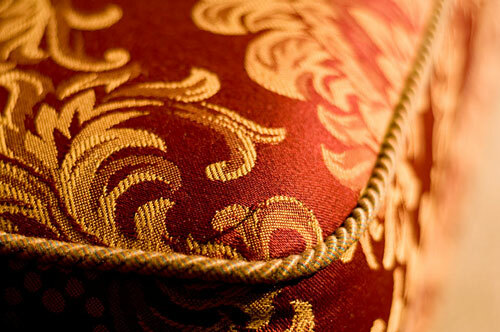 It has been tastefully restored, retaining many features and offering luxurious and comfortable accommodation in a period setting. 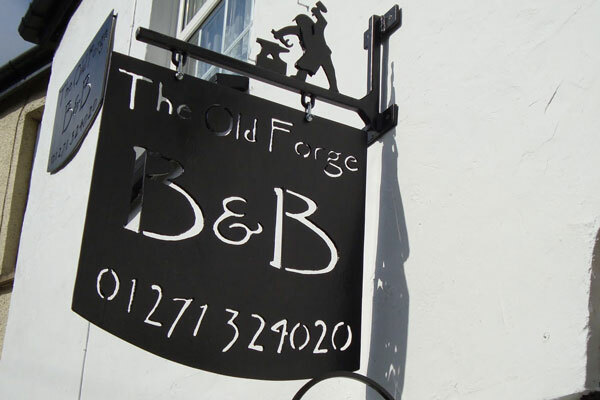 The Old Forge is just 5 minutes from the A361 linking North Devon to the M5. 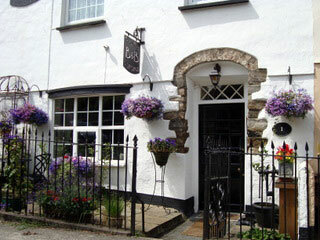 A great place to stay to explore Exmoor, a walker’s paradise. The beautiful beach of Saunton Sands is only 15 minutes by car. Croyde and Woolacombe, offering some of the best surfing in the UK are just 20 minutes away. 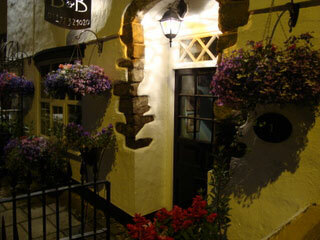 Spring Offer Two nights Dinner, Bed and Breakfast for two just £199. Terms and conditions apply. For golfers there are many courses close by, including the Saunton Golf Club (15 minutes drive). It offers two links courses, one of which holds championship events. The historic market town of Barnstaple is two miles down the road and the scenic valley of the River Taw is a short walk from the front door past the village church. The village pub is a thatched Devon longhouse dating from the fifteenth century. Cyclists can pick up the Tarka trail at numerous points along the way and we can offer safe storage for your bikes, if you bring them with you. Tarka Bikes will hire out bikes locally for all ages, if you prefer. Guests can relax in the sitting room in front of the log burner or take a seat in the walled garden to watch the many species of wild birds that visit us. Families are welcome and a cot is available on request.